Home › Faculty Directory › Sue, Stanley, Ph.D. Cultural competent treatment; psychopathology among ethnic minorities; racism and privilege; Asian-American personality and mental health. Dr. Stanley Sue is a Distinguished Professor of Psychology at Palo Alto University. From 1996-2010, he was Professor of Psychology and Asian American Studies at the University of California, Davis; 1981-1996, Professor of Psychology at UCLA, where he was also Associate Dean of the Graduate Division, and 1971-1981, Assistant and Associate Professor of Psychology at the University of Washington. Sue’s research has been devoted to the study of the adjustment of, and delivery of mental health services to, culturally-diverse groups. His work documented the difficulties that ethnic minority groups experience in receiving adequate mental health services and offered directions for providing culturally-appropriate forms of treatment. Involved in governance and policy groups, Dr. Sue has served on the Subcommittee on Special Populations, President's Commission on Mental Health; Planning Board, U.S. Surgeon General’s Report on Mental Health; President, Division of Clinical and Community Psychology, International Association of Applied Psychology; President, Society for the Psychological Study of Social Issues, American Psychological Association; President, Western Psychological Association; President, Society for the Psychological Study of Culture, Ethnicity, and Race, American Psychological Association. 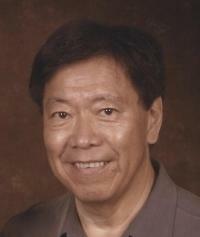 A Fellow of APA and the Asian American Psychological Association, he served as Associate Editor of American Psychologist and editorial board member of as Journal of Consulting and Clinical Psychology, American Journal of Community Psychology, Journal of Community Psychology, Psychological Assessment, and Cultural Diversity and Ethnic Minority Psychology. He has been an invited lecturer in Taiwan, Hong Kong, Macau, Philippines, Korea, Singapore, and England and has taught courses at Zhongshan University in China. Sue, D., Sue, D.W., Sue, D., & Sue, S. (2013). Understanding abnormal behavior (10th. Ed.). Boston, MA: Wadsworth/Cengage. Sue, D., Sue, D.W., & Sue, S. (2010). Understanding abnormal behavior. (9th Ed.). Boston: Wadsworth/Cengage. Cheng, J.K.Y., & Sue, S. (accepted for publication). Addressing cultural and ethnic minority issues in the acceptance and mindfulness movement. In A. Masuda (Ed. ), Cultural issues in acceptance and mindfulness. Oakland, CA: New Harbinger Publications. DiVitale, S., Ghiya, P., Jordan, D., Montaldo, M., & Sue, S. (2012). Culturally competent or responsive care. In M. Shally-Jensen (Ed. ), Mental health care issues in America: An encyclopedia (pp. 158-166). Santa Barbara, CA: ABC-CLIO. Okazaki, S., Okazaki, M., & Sue, S. (2009). Clinical personality assessment with Asian Americans. In J.N. Butcher (Ed.). Oxford handbook of personality assessment. New York (Pp. 377-395): Oxford University Press. Saw, A., & Sue, S. (2012). Asian American and Pacific Islander mental health issues. In M. Shally-Jensen (Ed. ),Mental health care issues in America: An encyclopedia (pp. 55-60). Santa Barbara, CA: ABC-CLIO. Sue, S., Cheng, J. K.Y., & Sue, L. (2011). Problems in generalizing research to other cultures. In J.C. Thomas & M. Hersen (Eds. ), Understanding research in clinical and counseling psychology. London: Routledge. Sue, S., & Zane, N. (2011). Asian American Center on Disparities Research. In J.C. Norcross, G.R. VandenBos, & D.K. Freedheim, (Eds. ), History of psychotherapy: Continuity and change (pp 421-427). Washington, DC: American Psychological Association. Cheng, J. K. Y., Fancher, T., Ratanasen, M., Conner, K., Duberstein, P., Sue, S., & Takeuchi, D. (2010). Lifetime suicidal ideation and suicide attempts in Asian Americans. Asian American Journal of Psychology, 1,18-30. Hahm, H.C., Ozonoff, A., Gaumond, J., & Sue, S. (2010). Perceived discrimination and health outcomes: A gender comparison among Asian-Americans nationwide. Women’s Health Issues, 20, 350-358. Saad, C.S., Sue, S., Zane, N., & Cho, Y. (2012). The relationship between education and ethnic minority factors in income among Asian Americans. Asian American Journal of Psychology. 3, 66-78. Sue, S.(2009). Ethnic minority psychology: Struggles and triumphs. Cultural Diversity and Ethnic Minority Psychology, 15, 409-415. Sue, S., Cheng, J.K.Y., Saad, C.S., & Chu, J. (2012). Asian American mental health: A call to action. American Psychologist, 67, 532-544. Sue, S.(2010). Cultural adaptations in treatment. Scientific Review of Mental Health Practice, 7, 31-33. Sue, S., Zane, N., Nagayama Hall, G. C., & Berger, L. K. (2009). The case for cultural competency in psychotherapeutic interventions. Annual Review of Psychology, 60 (1), 525-548. Stephens, K.A., Sue, S., Roy-Byrne, P., Unützer, J., Wang, J., Rivara, F.P., Jurkovich, G.J., & Zatzick, D.F.. (2010). Ethnoracial variations in acute PTSD symptoms among hospitalized survivors of traumatic injury. Journal of Traumatic Stress, 23, 384-392.